If you have ever watched or been that child who bangs his toys together out of pure destruction, out of boredom or just being done with those particular toys; you can imagine what “Glass” is like through an adult prism. Writer and director M. Night Shyamalan is a polarizing filmmaker whose concepts and ideas typically mean more to him and his diehards than the majority of audiences. “Glass” is no different, as he combines something old with something new in a desperate attempt to make them work together. What’s more impressive than the events on screen, is what happened off, with Disney & Universal studios collaborating on a project for the first time. “Glass” lacks in thrills, violence, suspense and the expected Shyamalan mind blowing ending most will be expecting. 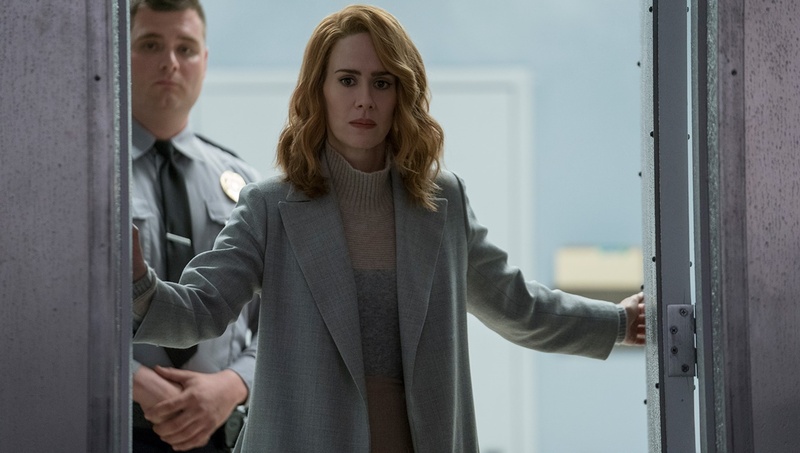 Psychiatrist Dr. Ellie Staple (Paulson) has three unique individuals in her care that she insists all suffer from the same delusion of believing they are superhuman. She has recently acquired wanted fugitive David Dunn (Willis), the lone survivor of a horrific train accident 19 years ago. Dunn led the authorities to the murdering multiple personality Kevin Wendell Crumb (McAvoy), also now in Staple’s care. She brings the men together, along with patient Elijah Price (Jackson), attempting to convince the trio they are not superheroes. This brainwashing approach goes against the fundamentals of Price’s beliefs, that comic books are actually documents of real life accounts, and not even a secure mentally facility will keep him from trying to prove their existence to the world. Writer and director M. Night Shyamalan is a polarizing filmmaker whose concepts and ideas typically mean more to him and his diehards than the majority of audiences. “Unbreakable” (2000) had a specific cinematic approach and pacing compared to “Split” (2016). Sixteen years separate the two Shyamalan films, representing a significant evolution in the directors work. His attempt to combine the two very different movies into a sequel that serves duel purposes, simultaneously expanding familiar characters and introducing new ones, is more complicated than the Oscar nominated director can handle. His script relies heavily on Paulson’s character to workout how and why these people would be in the same movie. Each patient is allied with someone from their origin story, Shyamalan relies on these supporting character’s to sponge up much of the screen time since Willis and Jackson are given little to actually do on screen. McAvoy is the marquee name here, and the one giving the more intensified performance. “Glass” affords him the opportunity to explore more of the personalities only mentioned in “Split”. Jackson publicly praised McAvoy for his talent in transforming into so many different characters before everyone’s eyes. Yet, as curious as McAvoy’s performance is and ambitious Shyamalan concept, “Glass” is lackluster for much of it’s running time. Bringing these characters together doesn’t have the explosive effect many might hope for, if Shyamalan could resign himself to ideas and screenwriting and collaborate with a director whose vision could elevate the work we would all be better off. “The Visit” felt like the first time Shyamalan might be headed back towards the right direction, smaller and more intimate filmmaking, “Glass” is him moving away from what he’s good at. Glass is a lackluster money grab for all involved.